OVERALL: Oh yeah. I want to binge watch this show. Now. I want to know more. I think you all should be watching it too!!! POINTS: Good sci-fi, good cop drama, good ethical problems, cool characters, OMG SCI-FI!! Just watch. PITFALLS: Hmmmm….. Could we stream this all now please? FEMALE CHARACTER(S): Yay. 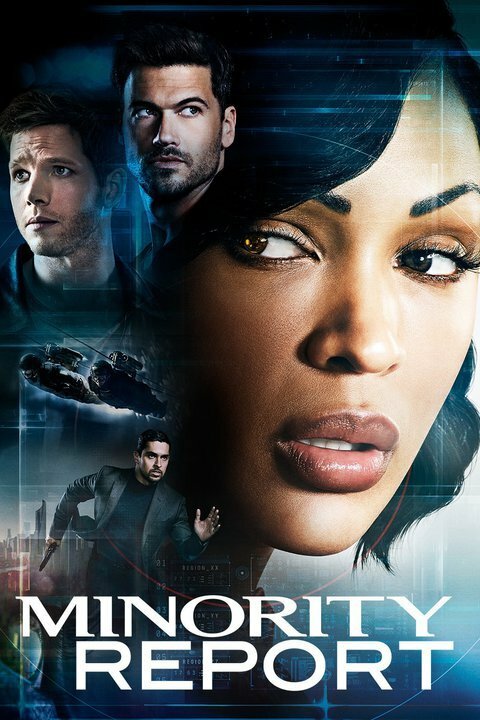 We have the fabulous Lara Vega (Meagan Good) as our top cop. I love how she carries herself and I keep wanting to yell “Abbie Mills!” because she reminds me of that wonderful character on Sleepy Hollow. We also have her buddy Akeela (Li Jun Li) who controls the tech the police now use in the future. Very cool. We also get to see the top pre-cog Agatha (Laura Regan) and she is a powerful character. I want to see MORE of her and the other pre-cogs as well. HIGH POINT(S): I love the far reaching consequences of using the pre-cogs to stop crime AND what would happen afterward. Yes when the movie ends, you feel the pre-cogs are safe. In the TV show though, you ask if they really are. Excellent. I also like that you hear many sides of the argument of using the pre-cogs or not. RACIAL BECHDEL TEST (Website): 3 of 3. Oh Squee!! There is a VERY diverse cast both in principle all the way to supporting roles. Love it.